A historical marker in Oak Hill, Tenn., a Nashville suburb, notes the significance of the stone wall. 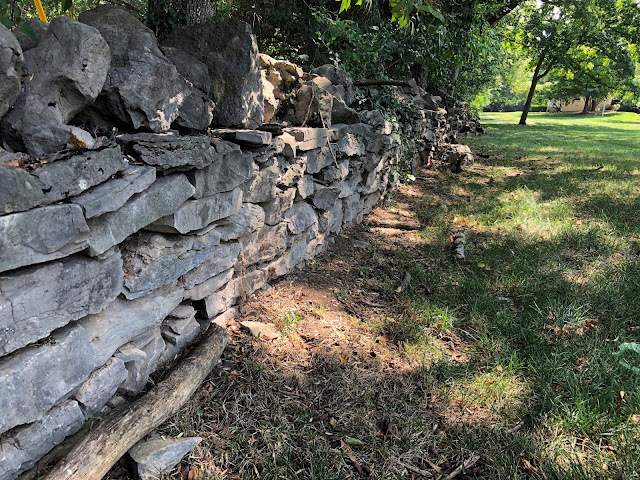 Union-facing side of the historic stone wall, deep in a residential neighborhood. Confederate troops fought from behind this stone wall on Dec. 16, 1864. 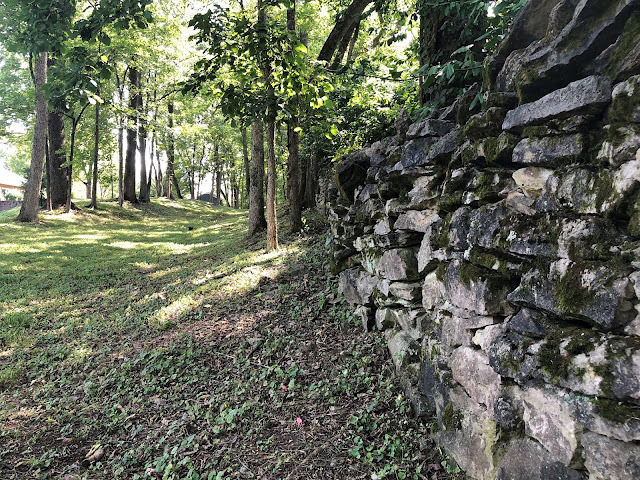 Hidden in plain sight, stacks of stone form a lengthy wall that slices through Oak Hill, a wealthy Nashville suburb. From our vantage point on Stonewall Drive, the wall slips in and out of view, past a tennis court, construction of another million-dollar home and through backyards. Several feet from a section of the historic divider that once separated two estates, a massive oak hangs onto to life despite missing a huge section of its top. 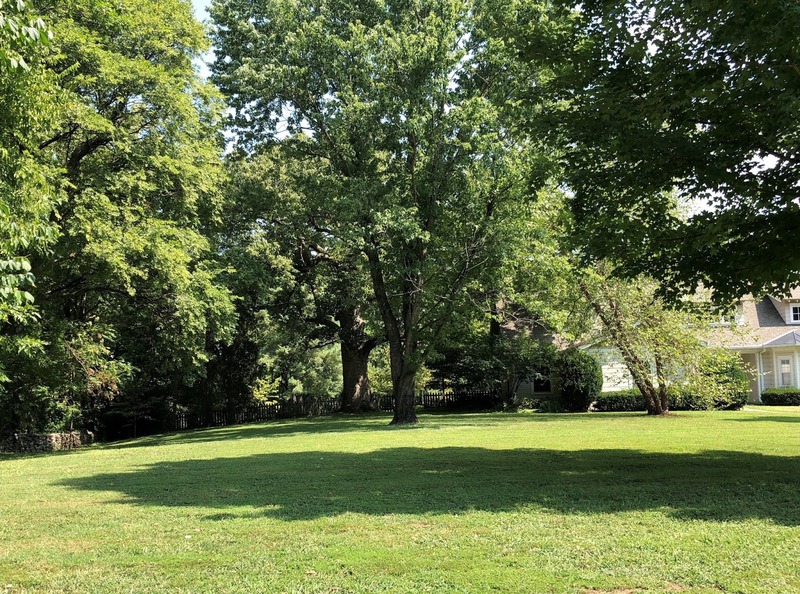 Now in the front yard of a residence, the "witness" tree was a cannon fire victim on Dec. 16, 1864, the second day of the Battle of Nashville. Soldiers under General William Loring, a division commander, fought desperately behind the wall -- the center of the Confederate line -- before a Union onslaught forced their retreat. 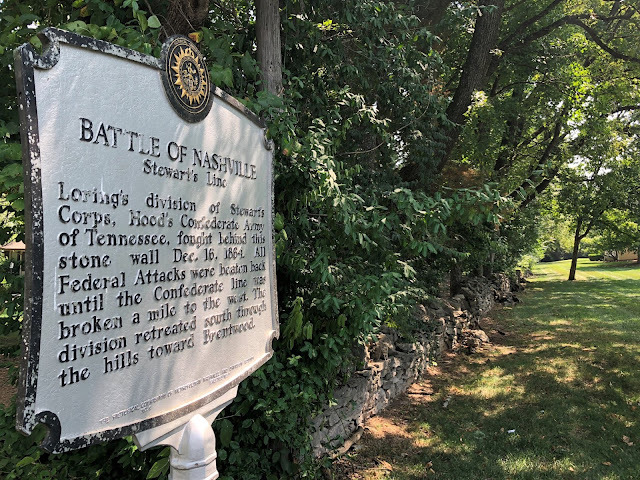 "The division retreated south through the hills toward Brentwood," reads a historical marker, undoubtedly ignored by most drivers along busy Lealand Drive. Pieces of the Civil War past remain in the ground here, an expert who lives in the neighborhood tells me. No telling how many stories could be found here, too.